Nice job. How about some details? What is your process? What products do you prefer? 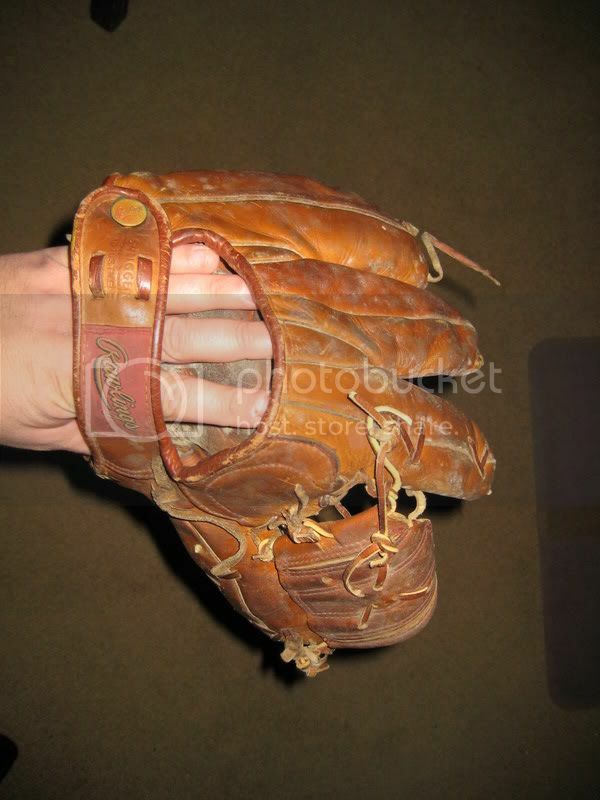 I have more of a connection with late 70's, 80s and 90s gloves but this 4 finger is super cool...and now beautiful. Beautifull job!! 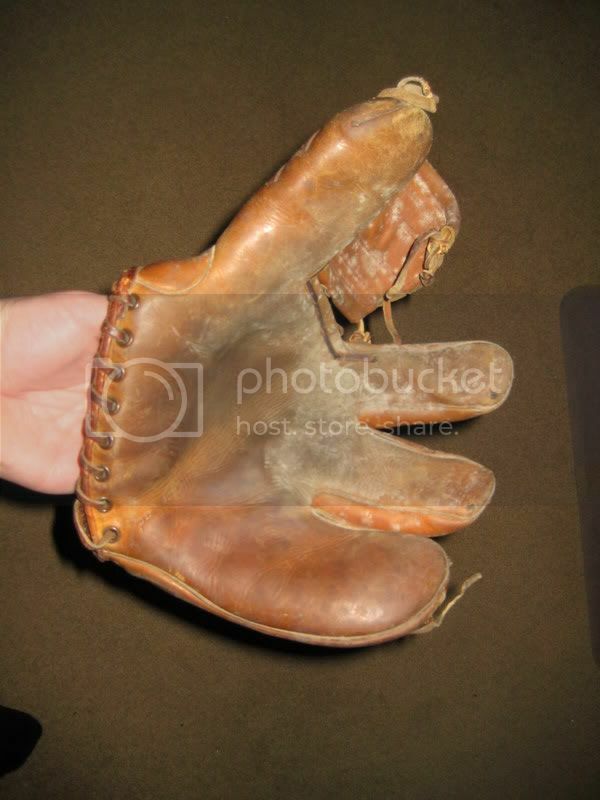 Nice glove Matt! nice job, what kind of laces did you use? 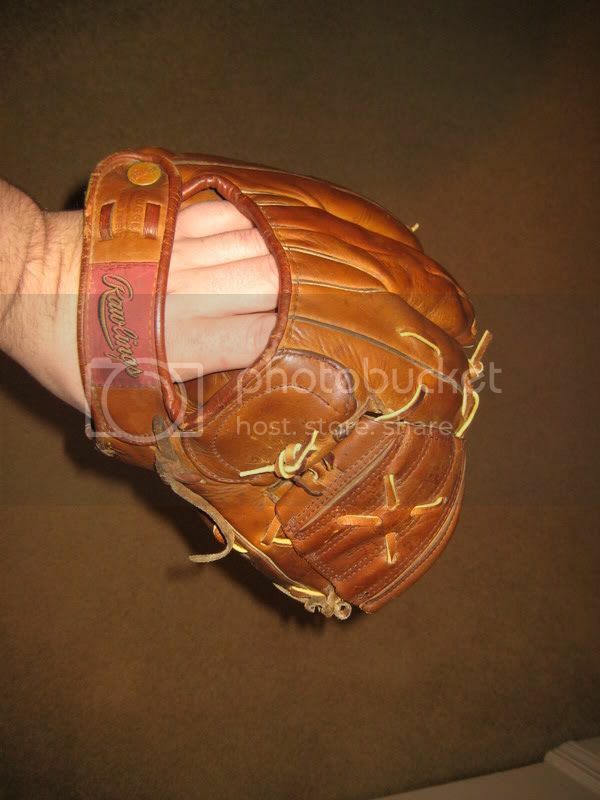 I cleaned the glove with products by Leatherique. First, is the rejuvenator and you follow it up with a pristine clean. As for the lace, there's a local store similar to Play it Again, and they sell 6 ft laces. No idea of brand, but it worked ok. It was a little thick, but did the job. Oh my, that is a fantastic restoration! The palm is simply gorgeous. Thanks for sharing. Thanks for the info, Matt. I think that is the first time Leatherique has been mentioned on the forum! I'll have to check that stuff out. The glove cleaned up exceptionally well. However, the lacing is not correct. The V anchors on the index finger and thumb should be "V"s, just like the top of the index finger on the before picture. Not trying to be critical, just helpful. Once it is laced correctly it will be a real beauty. Yea, I realized it was wrong when I was done. When i get the time, I'll probably try it again and hopefully, I'll get it right. Do you have any pictures of the correct lacing? 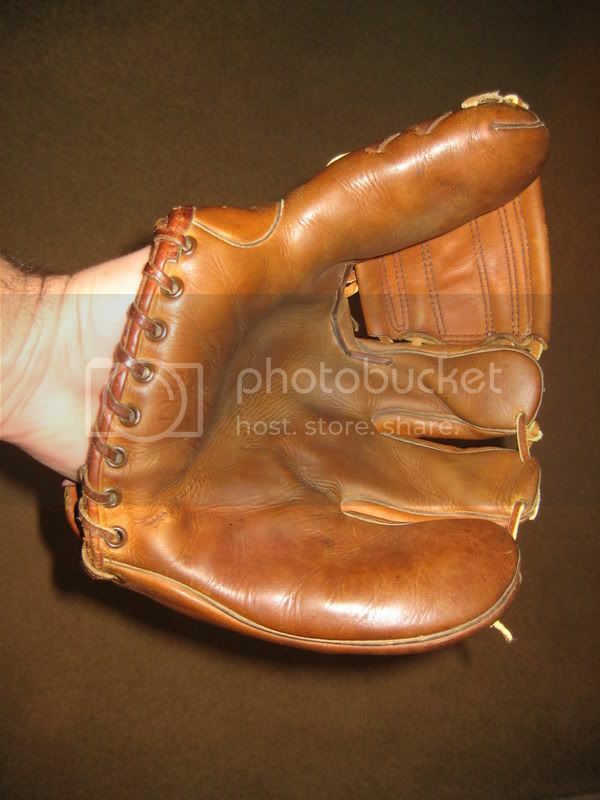 If you go to The Baseball Glove Collector.com and click on Rawlings at the bottom of the Home Page, there are a few variations of the PM model. The pictures aren't real close up but maybe enough to help you. If not then its a great site to look at anyway.